Turkey restored the citizenship of its most famous poet Monday in a symbolic step meant to show it was addressing criticism of its human rights record in hopes of joining the European Union. Turkey stripped Nazim Hikmet of his nationality in 1951 at the height of the Cold War because of his communist views, branded him a traitor and imprisoned him for more than a decade. He died in exile in Moscow in 1963, but his work lived on — and the government's decision to restore his rights is meant to show Turkey is ready to embrace a limited amount of criticism. "It is a step toward accepting differences in opinions, languages and ethnicity, which is necessary to become a member in the EU," said Dogu Ergil, a political analyst at Ankara University. The BBC quotes Deputy PM Cemil Çiçek: "The crimes which forced the government to strip him of his citizenship at that time are no longer considered a crime." According to Bianet, in announcing the reinstitution of Hikmet's citizenship at a press conference yesterday, Çiçek declared, "We have annulled a 1951 decree to strip Nazim Hikmet of his Turkish citizenry. 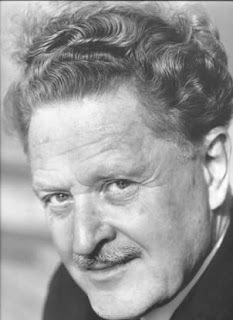 UNESCO had declared 2002 the 'Nazim Hikmet Year'. A most reputed name in the literary circles across the globe Nazim Hikmet deserves the annulment of this outdated and meaningless decree." Hikmet is revered by many in the Turkish left. Outside my apartment in Kocaeli, there was a graffiti caricature of the poet, one of more than a few I saw etched on Turkish streets. Hikmet denounced imperialism, rallied to the causes of labor and worker's rights, and espoused that communism was his country's best hope for democracy and freedom. Useful to those unfamiliar with Hikmet, see a brief biography in today's Hürriyet. And, to further ruminate on Hikmet, I feel compelled to post this YouTube video sent to me by a friend some time ago. The video is of a Turkish symphony commemorating Hikmet . . . if Copland interpreted Hikmet, I am assuming you would end up with something quite like this. You might have ignored the probablity that Turkish citizens want this restoration for Nazım Hikmet's sake. Nazım is the symbol for Turkish patriotism. He loved his country and has deserved this before he died. This can be a strategy of AKP for EU, but this is not true for Turkish citizens, especially leftists.